Has the market for used A-Body Skylarks always been this reasonable, or have we just stumbled upon a few good ones in the past few weeks? It must be time warp Tuesday, because you get an original car with a nice interior and decent paint for about 1992 pricing. 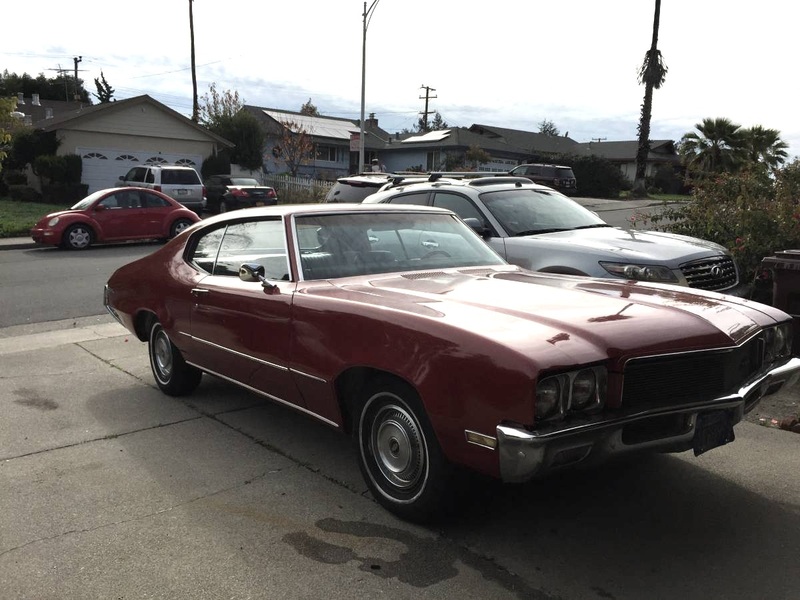 Find this 1971 Buick Skylark offered for $5,500 in El Sobrante, CA via craigslist. What am I missing? 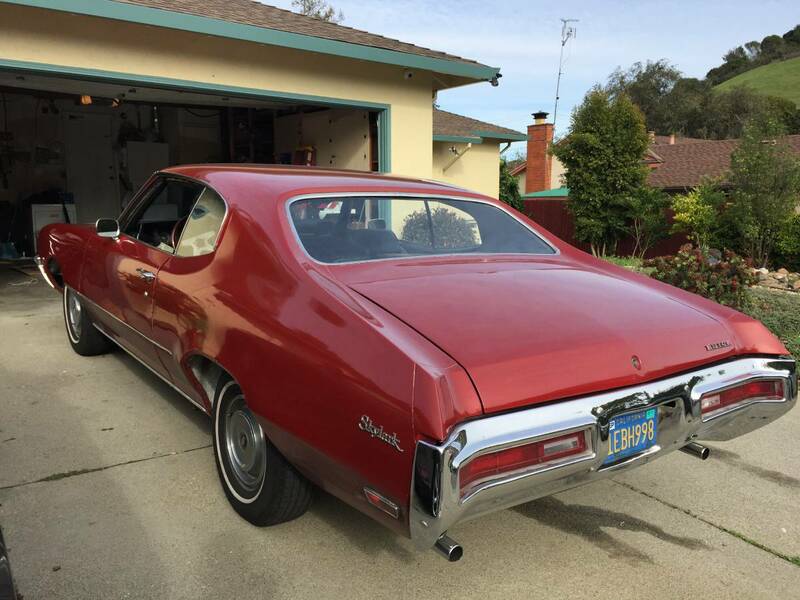 This car has original California blue plates, a claimed 85,000 mile odometer reading and matching numbers with the Buick 350V8 -- how is this offered for $5500? The front bench seats have been redone -- and I love the idea of driving this ever day as a six person family hauler. 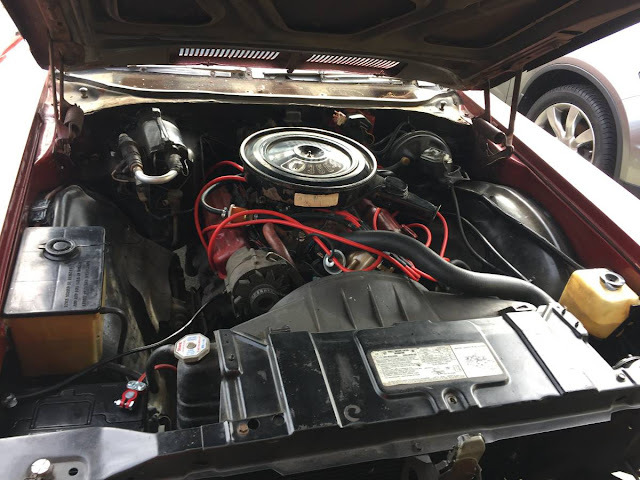 The engine bay isn't slathered in ArmorAll or cheesy PepBoys chrome -- and the 350 with 4bbl carb was rated at 260 horsepower and 360 ft-lbs of torque according to various interweb sources. If these tug at your heart strings, this looks like a really nice example. 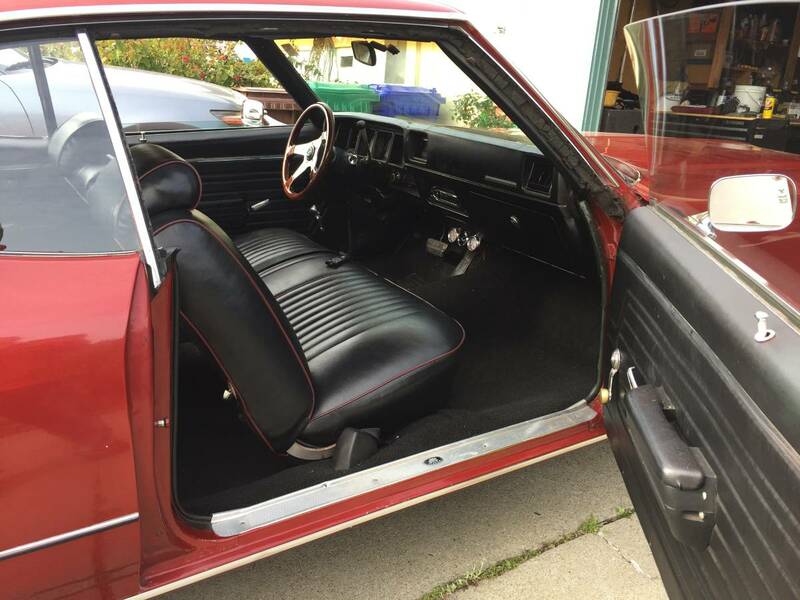 Tasteful retrim of the interior. I can just imagine hanging onto the steering wheel trying to avoid sliding to the other side of the car in spirited cornering! Isn't that the real reason that these cars were equipped with seat belts? Not only do I get to learn about cool cars on DT but I also learn Geography. Did not know El Sobrante was in the Bay area. I always like to match anything with Ambers car. She has such good taste. That hood is too smooth, it's begging for some GS scoops. Great find, great price, looks like it's already gone.